RESPOND Project foresees the establishment of two “advice hubs” together with non-governmental organizations (NGOs) in Turkey and Iraq as the two transit countries. Their main role is determined as providing legal and practical advice to refugees in these two countries. 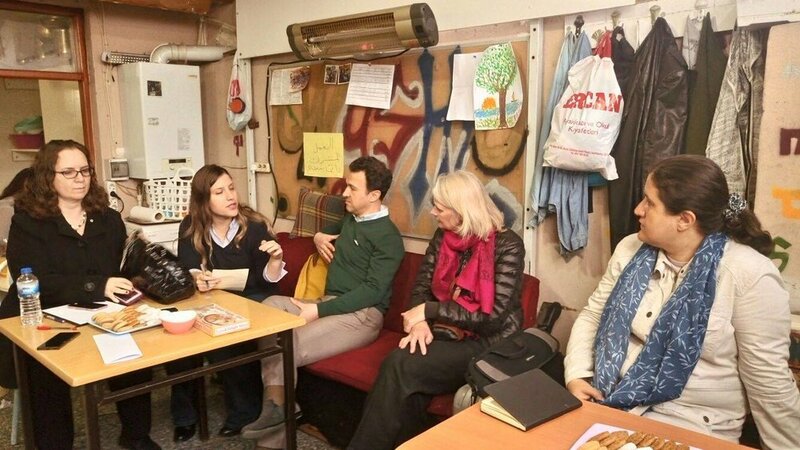 As the advice hub in Turkey, Qnushyo (The Syrian Cultural Centre in Istanbul)¹ will undertake the advice hub role as an association has been working since 2012 in Yedikule neighbourhood in Istanbul and officially founded in 2015. Swedish Research Institute in Istanbul (SRII) is the coordinator institution of Turkey’s advice hub and as of 1st December, 2018, the cooperation protocol was signed between SRII and Qnushyo as a part of the project. Qnushyo, means “community gathering” in Assyrian, and it has been conducting empowering activities for Syrian refugees to improve their well-being, cultural knowledge and integration². 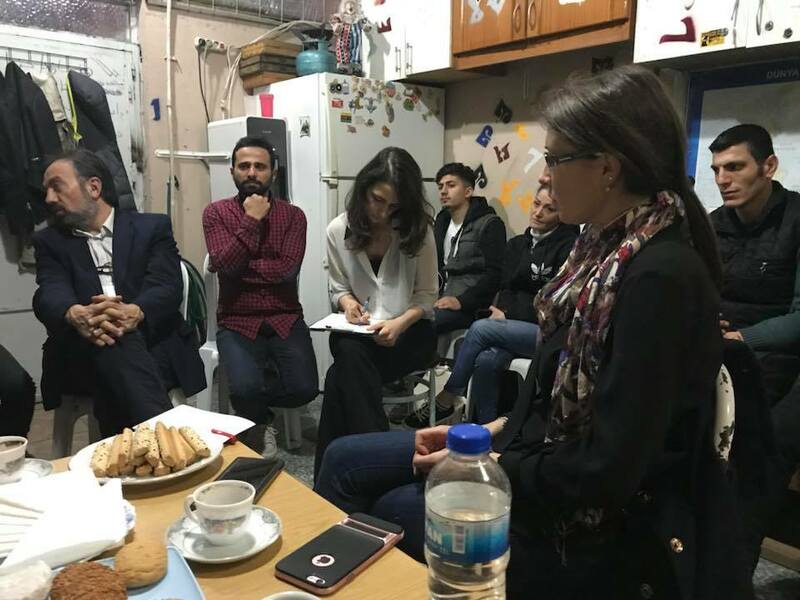 After speaking with the founders of Qnushyo (Dr. Önver Cetrez and Yakup Atug) as well as the volunteers, we have learned that Yedikule became an important neighbourhood for Syrian refugees as following the Syrian Civil War, especially those of Assyrian background. However, they emphasized that during the first years of the Syrian mass migration, the Yedikule community had no outreach programmes or activities, and the children could not attend any school or have any structured activities. In addition, the founders’ need analysis displayed that the community suffered from the post-traumatic stress disorder due to the war and forced migration, and there was no mental health support for a community. As a consequence, Qnushyo’s founders saw the need in Yedikule and began to organize the community as creating programmes, educational opportunities and various means of support, giving this vulnerable but dynamic community a second chance at life. Although during its first years, it was designed as a safe space for Assyrians displaced due to Syria War, Qnushyo has become more inclusive NGO and since 2015, continues to assist not only Assyrian but also mainly Syrian refugees as well as the local community in Yedikule³. It is a gathering place created to provide a safe space for refugees arriving in Istanbul from surrounding countries, predominantly from Syria. The main beneficiaries are women and children and since its establishment Qnushyo supported more than 200 families to be registered refugees, for enrolment of children to the schools, access to social and justice services and educational opportunities and also providing solidarity⁴. 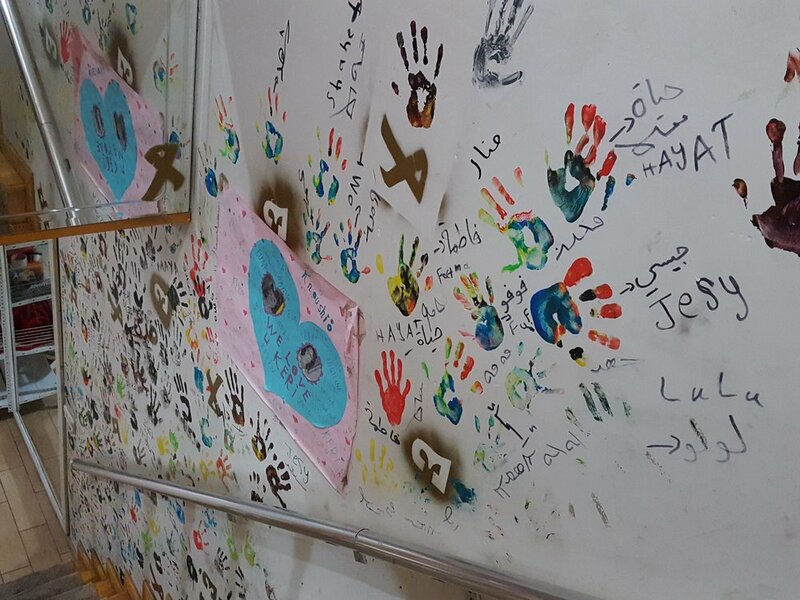 During our first study visit to Qnushyo, we could see that indeed, Qnushyo is a real gathering hub for the Syrian refugees in Yedikule, where they can come together, they can learn from each other and children can play together. Qnushyo is located next to a public playground where you can hear all the children’s voice, which takes the clouds away and brings “hope”. Their colourful hands welcomed us on the walls and we are told that many of them have tried to pass dangerous borders with their families. Some of them are still in touch but for the ones who could not hear from them, they wish that they have not been perished on their dangerous journeys. Despite all the physical difficulties, a group of young, motivated and committed local and international volunteers who have come together to make a difference and created such a welcoming place for the Syrian refugees. We were served with a Syrian coffee that made by young Syrian refugee. At the end of our visit, we could manage to meet with the majority of volunteers but also the Syrian refugees who came for cooking lesson where they were learning also English. During our first study visit, we also tried to understand the needs of Qnushyo and also its potential as an “advice hub”. In this framework, an updated need analysis and SWOT analysis were done for Qnushyo and accordingly to their results, the first capacity building activity, the “Project Cycle Management (PCM)” training conducted by me on 14-15 July 2018 as two full-day programme with the active participation of Qnushyo’s volunteers. Then, on 17-18 October, “Fund Raising and Proposal Writing” training given by Alev Karaduman, many crucial topics such as; humanitarian principles, NGO management, fund raising, social cohesion & community-based approach and project proposal writing were covered. Alev became a part of RESPOND Project, who is a student at Lund University in Masters of Applied Cultural Analysis (MACA) and she has been accepted as an intern at Swedish Research Institute Istanbul by April 2018. Since then she has been also conducting a research with the supervision by me as combining her previous experience in civil society and also as a part of her graduate programme. In this framework, she focuses on the role of NGOs in refugee integration and also the perceptions of refugees, host community members and NGOs regarding integration. She conducted 32 interviews equally divided in between volunteers of Qnushyo, beneficiaries and the host community and through the lenses from these three sides, she tries to understand the perceptions, barriers and facilitating factors regarding integration. Some of the quotations reflects from her research the role and importance of Qnushyo in the Syrian refugees as they follow. Now, Alev has been working on an article that focuses on “What are the local perceptions from the field which challenges integration of Syrian refugees in Istanbul?”, where Yedikule will be presented as a case study. The article will initially be submitted as an academic article for the examination to Lund University Masters of Applied Cultural Analysis department by 8th of January; but also, will be submitted to relevant journals thus we could contribute to raising awareness on integration issues of Syrian refugees in Istanbul through a representative case study. Qnushyo was also addressed with another research and publication⁶ and we hope that there will be many of the others. Qnushyo will be a part of RESPOND Project until the completion of the project itself; however, we strongly believe that it will be a gathering place for the local and migration community for a very long time. We welcome Qnushyo as the “advice hub of Turkey”. 6. Önver A. Cetrez, Onver A. and Demarinis, V. (2017). “A Psychosocial, Spiritual, and Physical Health Study among Assyrian-Syrian Refugees in Istanbul: Cultivating Resilience in the Midst of Hardship”. Middle East Journal of Refugee Studies, Vol. 2(2), 227-255, available here (21 December 2018).